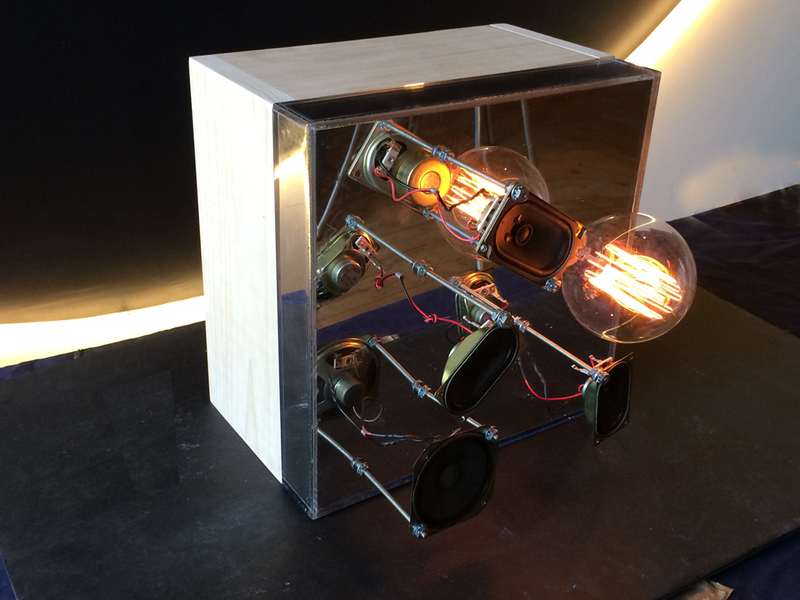 EinT3 is a single channel light and sound sculpture. Composed of analogue technology, a household light bulb, simple mini speakers an amplifier and a looped sound track, it’s unusual association of materials and auditory quality transgress the space of the everyday. Seemingly providing a utilitarian function (lighting) quiet whispering of voices and sounds draw the viewer into the work for further investigation. Quasi inaudible, the sounds and voices seem to emanate from some otherworldly space, the mirror box acting as a channel for otherwise imperceptible communications.